Fans had a fair amount of skepticism late last year when Netflix confirmed work on a live-action Cowboy Bebop series. Now, The Hollywood Reporter has the first details on who will star in the the ten-episode series. Daniella Pineda, who previously starred in Jurassic World: Fallen Kingdom, is also on board as Faye Valentine. She’ll serve as a right-hand woman alongside Spiegel and Black, utilizing her con artist skills. British actor Alex Hassell rounds out the cast as Spiegel’s former partner Vicious. THR also revealed that Alex Garcia Lopez would direct two installments of the ten-episode series. He previously worked on such shows as Daredevil, Luke Cage and Cloak and Dagger. Meanwhile, Christopher Yost, writer of various Avengers and Teenage Mutant Ninja Turtles animated shows, will write the first episode. 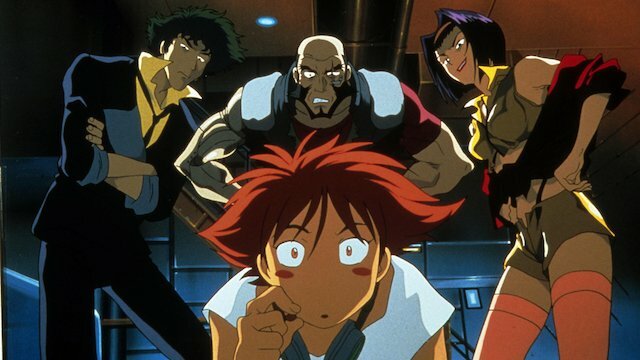 With the announcement of Cho and his fellow cast mates, fan responses to Cowboy Bebop have been strong on social media. You can see some of those posts below. john! cho! as! spike! spiegel! Cowboy Bebop doesn’t have a release date. However, with the cast in place, production should begin soon. What do you think about this casting news, space cowboy? Let us know in the comment section below!